Southern-rock group Third Day has sold over seven million albums and had twenty-eight #1 hits ever since they formed in 1991. Twenty-five years later, this creative group celebrates their 25th anniversary with a back-to-their-roots album aptly titled Revival. Lead singer Mac Powell shares of the album, “Brothers and sisters, He wants so much more than just a revival week for us, but for every single day of our lives to be one in which we surrender to seek His wisdom and guidance through the Word of God, and celebrate the abundant life and joy that only He can bring. Let's join together and hope and pray that God would see fit to bring about in every single one of us, revival.” With that in mind, Third Day has released an album filled with gospel-style songs, complete with joyful piano, choral background effects, and – most importantly – gospel lyrics that give the listener a pioneer-days feel. Mac Powell’s phenomenal vocals are the first thing to stand out when the title track begins, as he sings, “Anybody here looking for revival in our own hearts and across the land?” and then sings “Lift up your voice and say ‘Amen’!” Background vocals join in doing just that, combining excellently with the jubilant piano and lead guitar sections. Mac does an excellent job of reinstating this truth: that revival comes “only by the Spirit and the Word of God.” “Revival,” one of the best tracks off the album, is a fitting title for this upbeat gospel track, which is a taste of what the album as a whole sounds like. Also a festive track, “Gonna Be There With Me” makes good use of a Gospel organ and full choirs to back up Mac’s vocals. This track, although it has a fun Gospel sound, doesn’t sound too far off from what we are used to Third Day bringing, as they remind us that no matter where we are, God will never leave us. One standout moment of this track is the piano/guitar instrumental that caused me to envision a joyful dance party! “Leave This World Behind” is another of my personal favorites, as we hear a powerful reminder that our pains and griefs in this world are only temporary. Also more of the classic Third Day sound, this track appropriately gives such an anticipation, as it causes the listener to look forward to our heavenly home. Very colonial sounding, Third Day next brings a cover of Paul Simon’s “Loves Me Like a Rock,” a sweet song that celebrates the love of a mother for her child and how that love gives us confidence throughout our lives. One of my personal favorite aspects of this cover is how excellently Mac Powell poetically sang the lines; he also has fabulous background vocals from the Oak Ride Boys. 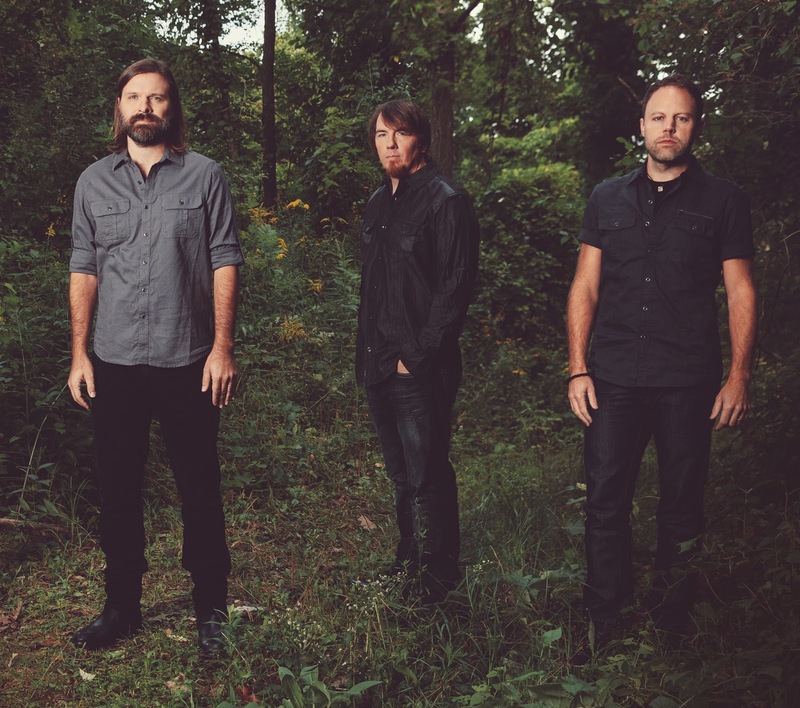 With “New Creation,” it’s time for Third Day to testify! Hand-claps are the beat for this Southern gospel track complete with all the works – excellent lively bass notes, choirs, and happy piano sounds. Together they sing, “Hallelujah, I’m a new creation/ Jesus people help me sing this song!” There’s nothing not to like about this track! Following is “Nobody Loves Me Like Jesus.” I honestly found the verses to be a little corny; though they nicely speak of the love of family members, it seems two similar in lyrics to the “Love Me Like a Rock,” and a little plain. The verses aside however, I did enjoy the strong bridge, where they celebrate the love of Jesus that is unlike the love of anyone else in the whole world. With “Anything is Possible,” Third Day celebrates the fact that anything is possible to those who trust in Jesus. I appreciated this track, which is not like most radio singles that talk all about our struggles, but rather takes the listener’s mind off their problems, to remind them “when the Spirit moves, You best believe that anything is possible”! “Great God Almighty” rehearses through several Old Testament stories in Western style, and is a prayer that God would deliver His children, just like He did for the children of Israel at the Red Sea – a great prayer with an irresistibly fun tempo! The album closes with the contemporary “Devotion,” which is actually another of my personal favorites off the Revival album. A touching prayer, Mac powerfully sings in the pre-chorus, “Lord, I really want to know You, just as You are/ to give You all that You desire!” and then passionately prays for God to fill us up with Himself. A prayer of my own, I found this track to express prayer that touches my heart, and I know touches God’s heart as well. While I do feel that the title track “Revival” might be enough for some listeners (as the majority of the album sounds much like it) and I did feel that a few of the tracks were a bit forced or repetitive, overall I believe that Third Day has given us a refreshing album unlike much of today’s Christian music. While it is worshipful, it is also a fun album. 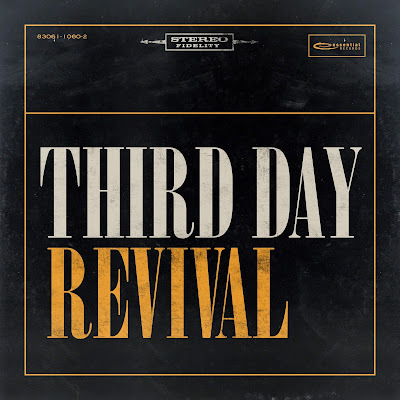 They have made great usage of Gospel piano, choirs, escalating guitars, and Gospel-themed lyrics to give us an excellent Southern Gospel rock album like only Third Day could give us.